The first batch of 5G terminals, including data terminals, smartphones and other products are expected to be released in China during the second half of 2019, reports Xinhua News Agency. 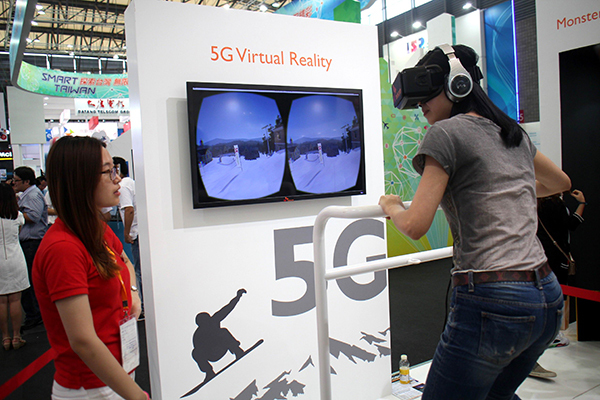 Wen Ku, director of the telecom development department at the Ministry of Industry and Information Technology, made the remarks as part of a timetable for 5G at the First Digital China Summit, which opened Sunday in Fuzhou, capital of Fujian province. According to Wen, China's 5G deployment is timely with other countries. In 2013, a working group focusing on 5G is established by the Ministry of Industry and Information Technology, the National Development and Reform Commission and the Ministry of Science and Technology. China also worked with the United States, European Union, Japan and South Korea through a mechanism on the research of 5G technology. At the beginning of 2016, China started its research on 5G technology. The country has finished two rounds of tests on 5G and is conducting a third round now. Initial 5G applications in China are set for 2019. According to Beijing Youth Daily, China's three major telecom operators including China Mobile, China Unicom and China Telecom have been approved to set up 5G networks in big cities. China Unicom will pilot 5G-technology in 16 cities including Beijing, Tianjin, Qingdao, Guiyang and Zhengzhou. China Mobile will launch offline testing in five cities in eastern and southern China, with each city installed with more than 100 5G stations as well as 5G application demonstrations in 12 cities. China Telecom has confirmed it will pilot 5G-technology in Xiong'an, Shanghai, Suzhou, Shenzhen, Chengdu and Lanzhou, and plans to expand the network to six more cities. China Unicom said it has started free chip upgrading for 2G users and cut 2G frequencies for the 5G network.